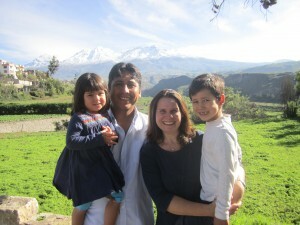 As a church we support the work of Edward and Esme in Peru as they seek to plant churches in the remote region of Chachas. You can find out a bit more about their work by listening to a talk that Edward gave at Dunfermline East in 2015 HERE and you can find a pdf of their most recent prayer news HERE. If you would like to receive further prayer news about their work and find out about ways in which you can support their work financially then let us know on the contact form below.